The "Wealth Consciousness" course is a course created by Mark Anthony to help Thetahealers adopt a "wealth conscious" mindset. A persons' mindset either draws or repels wealth towards them. For many, wealth seems to be outside of them but in actual fact wealth is a state of mind that you can consciously adopt whenever you want to. The first step towards becoming wealthy is shifting your dominant focus from a scarcity and lack mindset and breaking away from the limiting mental patterns, rules and habits that impoverish us and draw us again and again into the poverty cycle. All the wealth you have ever desired lies within you and not outside of you! thoughts, beliefs, attitude and feelings) with the universal laws that will create and sustain wealth in ways that will benefit all. A Wealth conscious mindset can be acquired by anyone and is not limited to only the few lucky ones or special and talented individuals in our Society. In the early part of the 1900's and throughout history it was noted that it took the most wealthy individuals almost an entire life time to acquire wealth but now with the shift in human consciousness people can tap into this mindset and acquire wealth very little time. The overall objective and uniqueness of this course is to help shift our mindset from poverty consciousness to wealth consciousness where money flows into our lives more readily through doing the work that we love. To achieve wealth consciousness mindset 3 fundamental questions will be addressed throughout the course. 2 What is the Highest truth about our Existence? 3 What is my purpose here? Life is the images of the mind expressed! 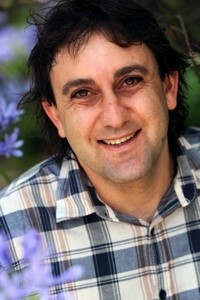 Mark Anthony is the Australian Representative for ThetaHealing. He is a visionary, mentor, teacher/presenter, entrepreneur and a world renowned Theta healing Representative who is dedicated to sharing and teaching this amazing ThetaHealing technique with the world. Mark is based in Crows Nest, Sydney Australia, and as an experienced Theta Healing instructor Mark has taught more than a thousand clients the Theta Healing technique including national and international clients. His passion is to empower people to accept their true potential and create the most amazing lives for themselves. He is committed to delivering the material with the highest integrity and passion.